Yiquan, also known as Dachengquan, is a system created by Wang Xiangzhai (1890 - 1963) after a lifetime of practice and research into martial arts. 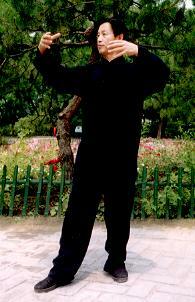 Wang Xiangzhai trained in Xingyiquan under a famous master Guo Yunshen. After Guo's death, Wang travelled extensively around China looking for top teachers. 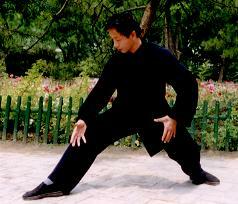 He became dissatisfied with the way martial arts were taught. In his opinion, far too much time and effort was spent on empty forms. 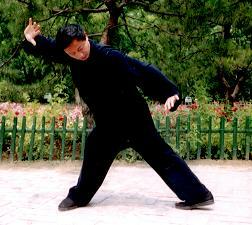 He therefore created Yiquan (Mind Boxing) to re-focus on internal energy training. The late Prof. Yao Zongxun was designated by Wang Xiangzhai as his successor. At present, Prof. Yao’s son, master Yao Chengguang teaches in Beijing. The system is designed in such a way that students can progress in clearly defined steps from learning how to unify their body to acquire whole-body strength, through learning how to handle their opponents using this new way of moving through to fighting applications.